The Fall Show show is coming to Exhibition place Friday Sept 28, to Sunday Sept 30. As part our our participation in Destination Renovation, we are giving away 3 pairs of tickets to the Home Show. To receive a pair, send us an email with your name and full mailing address, and we will mailthem to you. We’ll send tickets to the first 3 people respond with their full information. UPDATE: Sept 21. RenoMark is now the feature sponsor of the show, and admission is free for everyone. 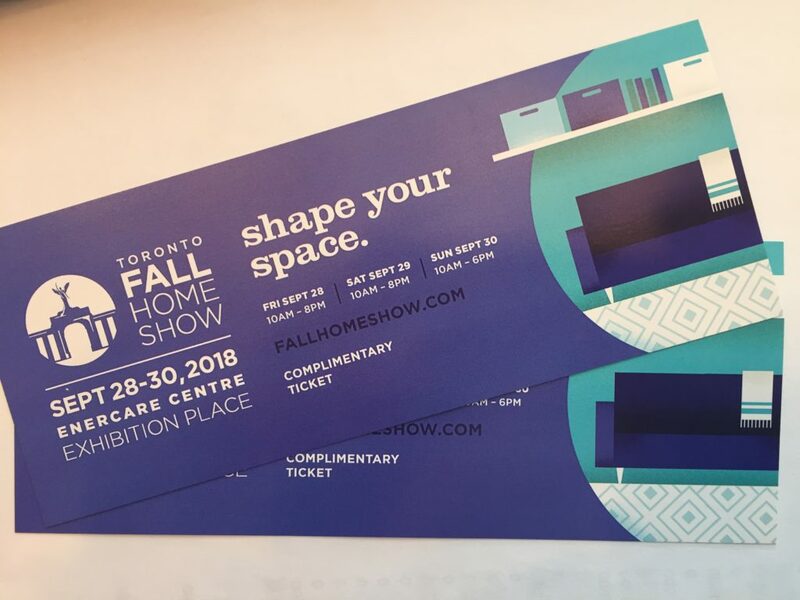 Get your free ticket at the door, or online at www.fallhomeshow.com.